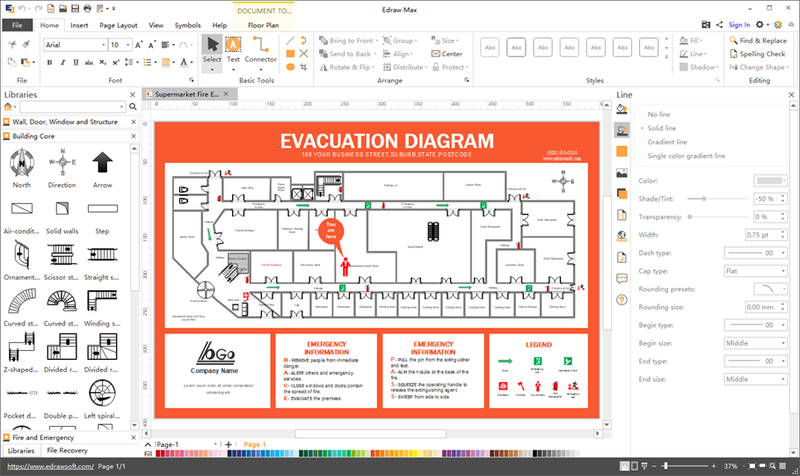 Design a fire escape diagram or evacuation emergency plan easily with ready-made templates and rigorous symbols. Experience an automatic drawing tool to complete typical fire escape diagram. 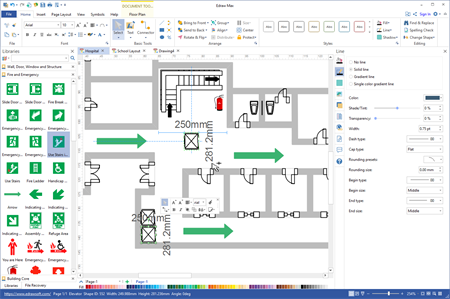 Edraw floor plan maker offers a concise interface for Mac users to draw a professional fire escape diagram rapidly. Edraw floor plan maker is a widely used fire escape diagram tool for Mac OS. Different from other diagram drawing software, it provides you with a choice of a lifetime license in an affordable price. With this application, drawing fire escape diagram is not the privilege of specialists but for everyone including beginners. Without masterly drawing skills, users can also have great experience in completing a customized fire escape diagram. Floor plan maker is the optimal choice of designing an accurate and exquisite fire escape diagram as it offers efficient drawing tools and specialized symbol libraries. 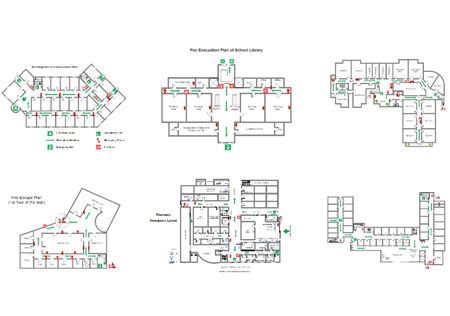 You can use the Dimensioning library to design a floor map initially , the Wall, Door, Window and Structure library to put your map in detail, and the Fire and Emergency library to add emergency slogans, alarms, direction signs, and exit marks etc. 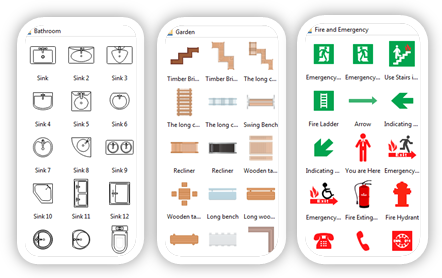 Starting with templates which it provides for users will boost efficiency for fire escape diagram designers especially beginners. All built-in templates are well-designed based on real occasions including office building, mall, hosipital, library and private house etc. Select a template which is similar to the one you need to plan and modify the differences to customize your own diagram in a lightning speed. Creating fire escape diagram with our floor plan program benefits for high quality and accurate works. Edraw for Mac is designed to be concise, direct and time-saving. You only need to add a floor plan initially, after that by dragging and dropping the symbols. All the processes are automated by action buttons and auto-layout function for you to customize your diagrams. Poweful functions make Edraw become your good assistant in drawing a fire escape diagram. 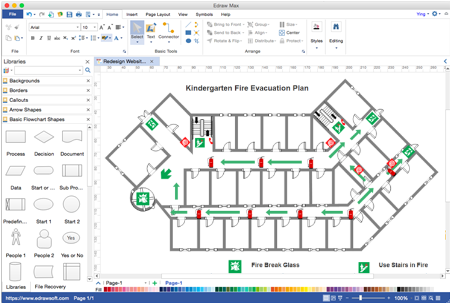 Have a trail of the user-friendly fire escape diagram tool and enjoy creating fire escape diagrams with multi-platform software. You should not miss this practical and professional application.